WEST PALM BEACH, Fla. — Edinburg Motorsports Park, the top racing facility in South Texas’ Rio Grande Valley, has signed a multi-year renewal with the International Hot Rod Association (IHRA). First used as a drag strip in 1953, the former Moore Field Auxiliary Air Strip, boasts a multi-motorsports facility. It includes a 1/4-mile IHRA drag strip, a mud drag track, an autocross course and a motocross track. With mild temperatures throughout the winter, the IHRA Division 4 (Renegades) facility sees plenty of activity throughout the year. Zaith Rodriguez (Top) and Humberto Trevino Jr. (Mod) won IHRA Summit SuperSeries track championships at Edinburg in 2017. For more information about Edinburg Motorsports Park click here. 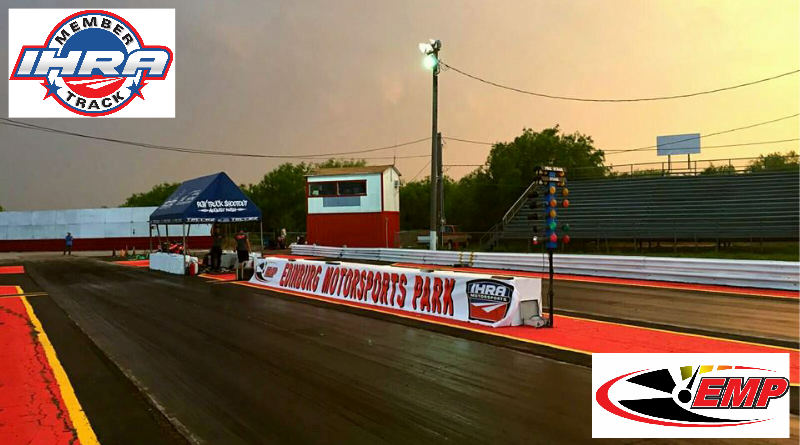 For a list of IHRA member tracks click here.